Seagate the world famous manufacturer for electronics now brings in a discount for all its buyers. Buy the Seagate backup plus slim 1 tb and get an amazing offer on it. This hard disk originally cost Rs.7450 but now you can buy it only here for Rs.4183 from amazon.in. A perfect disk that is portable thus can be moved along with you wherever you go and also light weight thus easy carrying. Portability of this disk means you move along with your favourite music, movies, videos etc. Any time make an easy plug in and use it without any difficulty. This disk is compatible with all other electronic gadgets thus no hassle of its compatibility. This disk transfer the files faster than what other disk can perform. 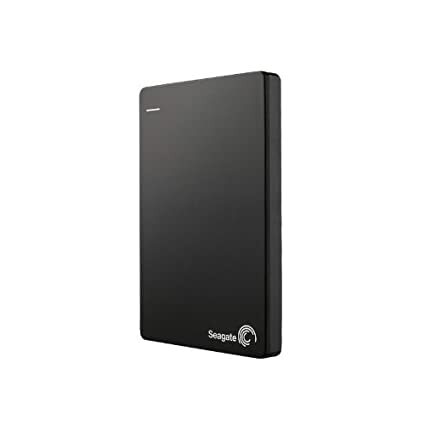 How to get this Seagate Backup Plus Slim 1TB at discounted price of Rs 4183? This is truly a merger of huge storage capacity and innovative technology. The Seagate Expansion portable drive is compact and perfect for on-the-go. It is as light as 0.15 kg, so you can carry your data wherever you want. Back up your digital content anytime, anywhere with the Seagate Backup Plus Slim portable drive.